Ryann loves to travel, embracing new experiences as opportunities to learn. At Austin Asset, she embraces the opportunity to travel alongside each client, enriching their financial journey. As a member of the Wealth Management team, Ryann utilizes this journey to learn about her clients and their unique situation. She loves working with clients to develop and implement their investment plan, guiding them on the path to financial success. 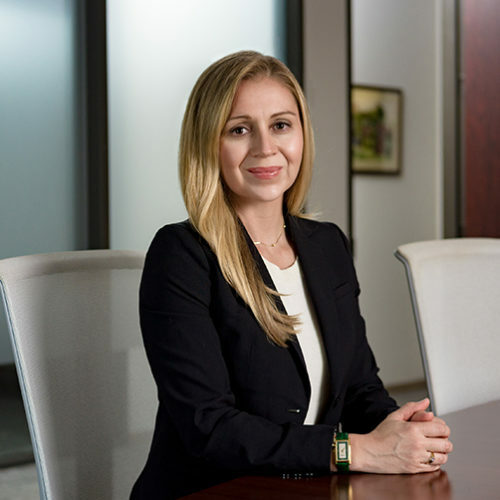 Ryann and her husband moved to Austin from Florida, where she worked facilitating the investment practice for investment advisor firms and trust banks as well as supporting wealth management clients, aligning their personal goals to investment solutions. Ryann is a CFA Charterholder and serves as a Board Member for the CFA Society of Austin. She also volunteers locally as a member of the Junior League of Austin. In her downtime, you can find Ryann running the trail at Town Lake, learning Italian, or planning their next getaway! I would love to chat with Warren Buffett over some Cherry Cokes. His genius is unique in an otherwise crowded field of brilliant individuals.